Days are already here when you cannot afford to omit social networking sites from your online marketing strategy. This is not because Mr. Mark Zuckerberg is filing billion dollar IPO for his social networking site or you see millions of tweets flying around in the web everyday or some non-profits are flaunting their Facebook pages and tweet account on fund-raising parties. The reason is social networking sites have established themselves as low-cost or no-cost avenue to market your product. Sites like Facebook are more effective if you are talking about a non-profit initiative dealing with public healthcare. You can draw people’s attention, engage them in your non-profit activity, ask them to volunteer and definitely raise fund. And for all these you don’t need to spend hefty money on adverts and promotional. But what’s so special about Facebook? In fact, every networking site has its niche. Unlike LinkedIn and Twitter, on Facebook people maintain a more sociable attitude. People here try to replicate what they do or want to do for their society in real life. Non-profit healthcare initiatives, trying to improve public health, can expect more acceptances on Facebook rather than on business networking sites. So, if you have genuine cause to think about you should try FB to get people on your side. There are too many non-profit healthcare initiatives, like, ‘Stand up to Cancer’, Tyson Hunger Relief’, ‘Free the Children’ and many, out there campaigning on FB successfully. Having said this, it is also true that people everywhere are busy with too many problems. And to draw their attention, to ask for their help you have to reach out to them. For that your non-profit needs solid marketing strategy to leverage the FB platform. So if you are the one managing a healthcare non-profit, which is leaving no stone unturned to improve people’s life, we have a set of strategies you can follow. Social media marketing efforts often fail if not tuned properly. You can definitely use volunteers or provide social media training for employees to design and maintain your campaign. But that will lack the thrust these types of marketing demands. So, it is always better to go for more structured full-time social media exposure if you want to make the most out of ‘FB’. And for that you need a finite and tangible blueprint to work on. Because once you have committed staff, tools and budget, you need foolproof accountability. Without knowing whom to approach you can’t step a single foot forward. This is often the most important reason behind every failed marketing campaign. You start on a wrong foot if your target irrelevant audience. So, spend your hours to know who will be moved by your nonprofit’s activities. Once you are sure on whom to approach, it is time to set finite and reachable objectives for the campaign. 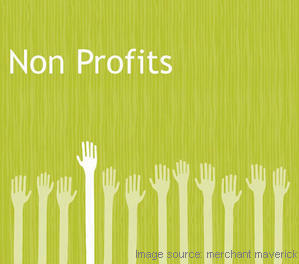 What are the resources you need to sustain your nonprofit? Is it volunteer stuffs? Is it free supply of medicine? Or is it purely money that you are lacking most? Knowing your goal properly helps to design your campaign and interact with stakeholders in most clear and convincing tone. If you like to increase the number of fellow-sympathizers, campaign for more ‘likes’ on your FB page. But if you want to engage them and take them along your activity, you will need more detailed and on-your-face approach. Now you know the people you will approach and what you will ask for. It is time to act. Think on how you will design the campaign. You have to device and develop content which will present your activity before people you will follow. People concerned with social causes understand what others are suffering from. So, don’t presume them as naïve. Besides, too much aggression from your side can spoil and turn people skeptic on your motive. After all too much of malpractices are there too. So, you need to keep your audience engaged. They should understand what you are doing, why you are doing and how you are doing. Once they know what stopping you from achieving a socially desired healthcare goal they will come forth in your help. But you have to first carry them to that realization. There are many tactics of course, like, compelling fans to take part in debate on provoking issues, guiding them to your other assets, releasing videos and photos periodically on your activity and many others. You have to use them with intelligence. Once you have laid down your plan, it is now time to keep score of the process. You will need both hard and soft metrics for regular diligence. For hard metrics you can set certain goal for number of ‘likes’ on your FB page, quarterly donation collection, ratio of expense to collection for marketing effort and so on. They will tell how you are faring on your social media marketing initiatives. Along with hard metrics you need to take care of responses from your fans too. Often with a particular campaign we do not get much response or, even worse, negative response. That means something is wrong with the campaign itself. It could be less compelling or you are in fact disturbing people instead of drawing their attention. Besides, you need to take care and respond to every query made from your audience. You can’t keep them engaged if you are not conversing with your audience. The last is key is flexibility. Marketing is no book of thumb rules. It is all about trials and errors. And your campaign only will show where the fault lies. Common indicators are your hard metrics and responses. Even with full commitment if any campaign is not drawing enough attention, don’t accuse people are inattentive. Try tweaking your content, re-design campaign and re-think about your audience. Because, a genuine cause never goes in vain, at least not in social media marketing. Even after praising social media marketing and Facebook at a length, you must understand Facebook marketing hardly works alone. You need websites, tweets, emails, video-sharing and photo-sharing sites and offline interactions in tandem. A 360 degree presence never fails to engage people to your cause.